In this guide I'll go through the process of powdercoating - in other words painting the mold with a fine shiny powder resembling a metal. These are the materials that will be used. 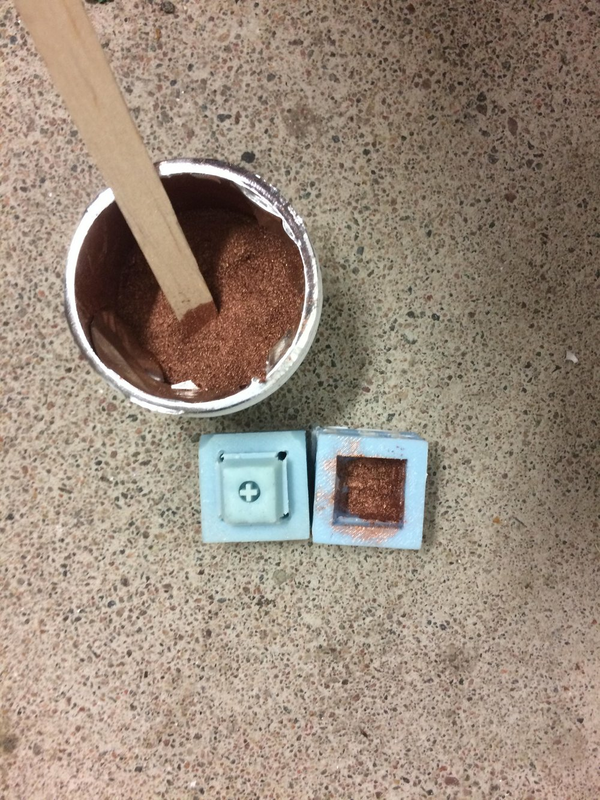 The powder I'll use in this tutorial is made to look like copper. Now open the mold up and pour out the left over powder. If you had enough, you will always have a small pile of left over powder. If not - that most certainly means there's some patches in the mold without powder on them. Last part - just fill the mold up and close it. You want to have the resin colored as close to the finished color as possible. In this case I use resin with powder copper mixed into it. Hope you learned something new from this guide, for any questions or suggestions for future tutorials, feel free to contact me!